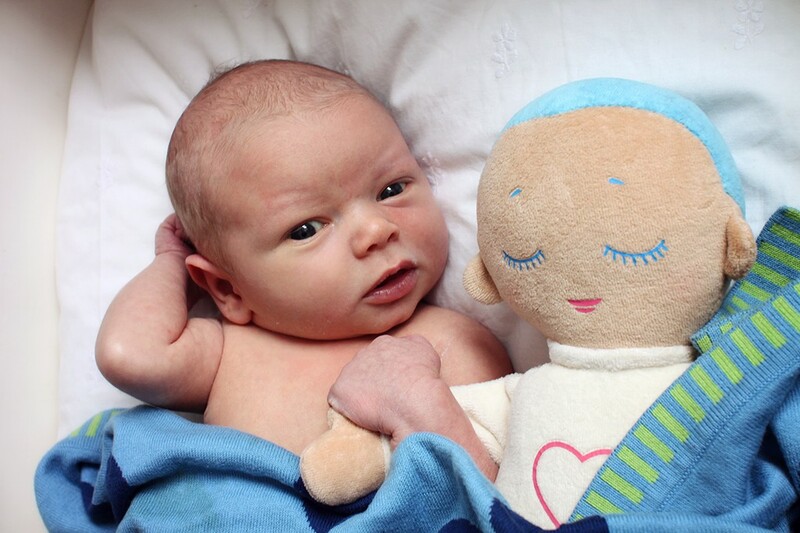 Nothing can replace loving human contact however with the Lulla Doll you come very close! The Lulla Doll is the only sleep aid on the market that plays a real life heartbeat and breathing for 8 hours continuously without the need for motion or sound activation.. Designed specially for preemies, babies, toddlers and beyond! Lulla has velcro straps to attach safely to a cot, until your little one is old enough to cuddle Lulla. Lulla plays for 8 hours to provide comfort all night long. Lulla’s unique design is based on scientific research that shows how closeness, and especially the sounds of heartbeat and breathing can improve safety, sleep and well-being. Hear– When the chest is pressed, Lulla plays a real-life recording of the breathing and heartbeat of a mother at rest. Her name is Gudrun, she is a mother of four and a Kundalini yoga teacher. Look– Babies prefer to look at something that resembles a human face. The colors of the doll were chosen for the purpose of making the doll unisex and unraced.